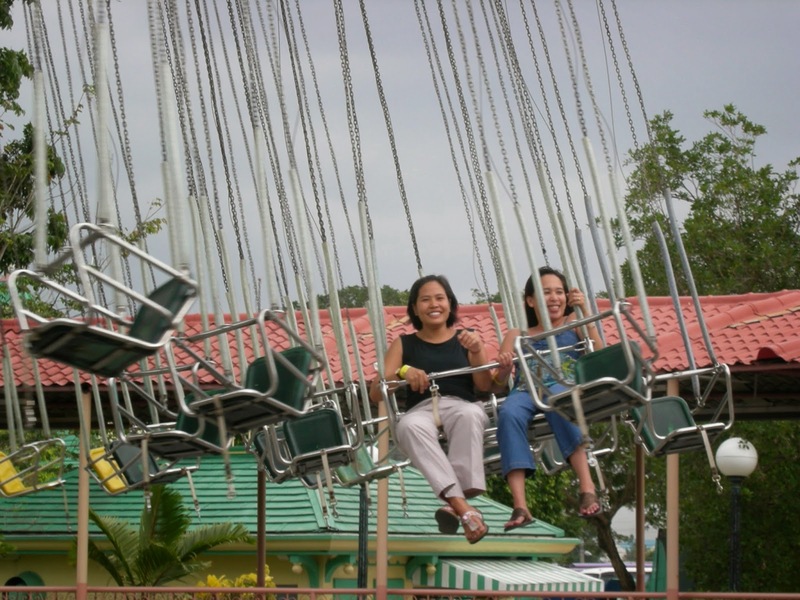 January 31, 2007 - Our trip to Enchanted Kingdom in Sta. Rosa Laguna was very exciting for the kids. My husband and I thought of this as a special treat for them before we left back home. Unmindful of the long hours of trip (from makati to enchanted kingdom and back), everybody was bubbly and perky! :) ..and it's a nice feeling to have making our loved ones happy. And who says she's not happy?? She really wanted to walk on her own. Goofy poses inside the 4D theater...my family and my husband. A ride on the river wild! !